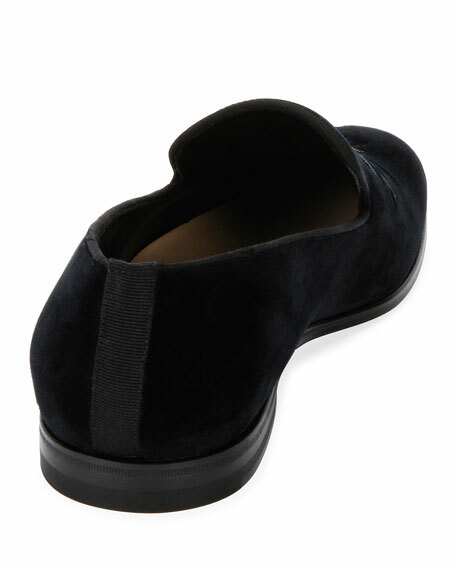 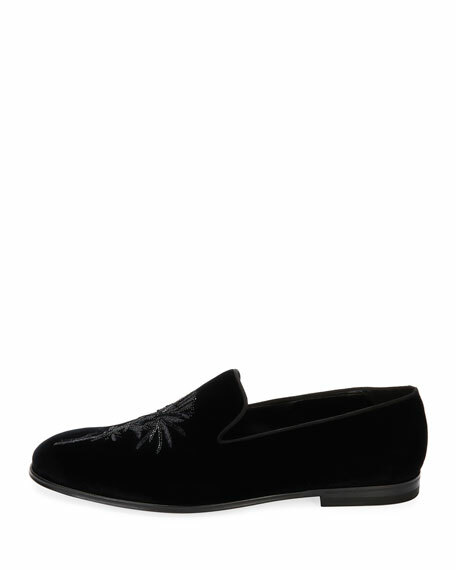 Alexander McQueen formal loafer in velvet. 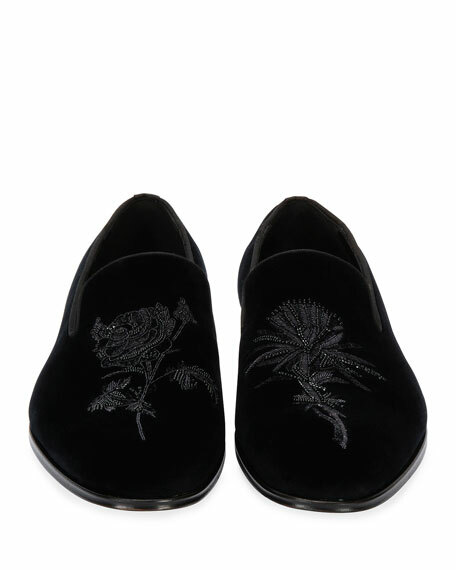 Beaded thistle embroidery on left shoe; beaded rose embroidery on right. 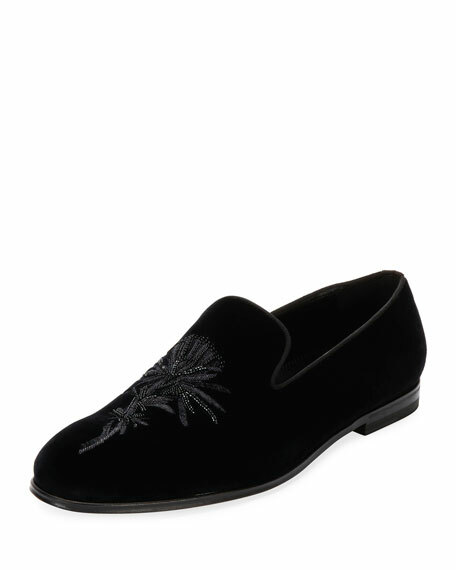 For in-store inquiries, use sku #2210122.